Store credit cards are great for both consumers with good and bad credit. If you have good credit, you could qualify for as much as 5% to 10% back in rewards through various store cards. If you have bad credit, you could still get approved for an unsecured credit card to build your credit up while also enjoying 1% to 10% in savings. With that said, there are many credit cards that are available to you. Most are offered by Comenity Bank and Synchrony Bank and their approval requirements are minimal. Some store credit cards have more extensive qualification requirements. Our team at Elite Personal Finance went through all the different retail cards that are available, which took a very long time. In the end it became clear which cards were worth applying for and which ones were a waste of time. We’ve reviewed what we consider to be the top store cards available today and broken it down into different categories. Take a look below and find out about some of the best store credit cards you can get! Many retail stores want you to get their credit card so bad that they are willing to consider you even if you have less-than-perfect credit. But they don’t necessarily have the final say in whether you qualify; usually it’s up to the bank or card issuer to decide whether you should get approved and how much you’re entrusted to borrow. With that said, here’s a look at some of the best store cards you can get even if you have no real creditworthiness to show. You can buy everything from furniture and electronics to diapers and food on the Amazon.com store. It’s like WalMart on steroids! So if you have bad credit but you still want a store card, the Amazon.com card is a wonderful choice. Also, a small extra perk: you get cleared for the Amazon.com you’ll receive a $10 credit into your account right away. Take advantage of their 0% financing offers when you can! One of the biggest perks of the Amazon.com store card is the ability to avoid paying any interest through a special financing arrangement. These can be set for 6, 12 or 24 months depending on how large of a purchase you make. 6 Months No Interest: For purchases that are at least $149, you can avoid paying interest if the purchase total is repaid within the first 6 months. Currently, this offer only works if you purchase a qualifying item in one of the following categories: Automotive, Books, Kitchen & Dining, and Video Games. 12 Months No Interest: For purchases that are at least $599, you can avoid paying interest if the purchase total is repaid within the first 12 months. Currently, this offer only works if you purchase a qualifying item in one of the following categories: Camera, Photo & Video, Computers, Home Improvement, Jewelry, Major Appliances, Musical Instruments, Sports & Outdoors, Watches, and Wheels. 24 Months No Interest: For certain purchases through Amazon.com, a 24-month no interest period is offered. Currently, this offer only works with certain HDTV purchases. Note: Don’t get too excited about these special offers, because they can be very dangerous if you don’t pay everything back in time. The accrued interest will get added all at once if the full promotional balance is not paid back in the given time frame. Amazon.com also gives you the chance to do a 12-month equal payment plan instead. This does require you to have at least a little creditworthiness to show, but it’s a great way to pay off a big purchase without losing a lot to interest. Additionally, this card has no annual fee but it has a sky-high APR rate of 26.24% on all purchases. So you want to make sure you keep the balance paid off before the due date each month unless you do a special financing purchase. You also don’t want to bother with balance transfers as they cost $35 each time. The single most effective way to maximize the value of your Amazon.com store card is to upgrade your account to Amazon Prime. This will convert the card into an Amazon.com Prime Store card instead. As a result, you will get 5% back on your Amazon.com purchases! This 5% back reward comes in the form of statement credits. So it’s like a rebate on each of your purchases. If you spend $1,000 a month on Amazon.com, you’d get $50 back monthly on your credit card statement. This would equate to a $600 reward each year; just on a new $2,000 TV you would be able to save $100 through this offer. If you have at least a little creditworthiness, hands down … the Amazon.com Rewards VISA card is the best option you have right now. This card gives you 3% back on all Amazon.com purchases. You also get 2% back on gas stations, pharmacies and restaurants and 1% back on everything else. Even better, you don’t have an annual fee and the rewards are unlimited so it even works if you’re a big spender. As a new cardholder, you’ll also get a $50 credit to your Amazon.com account right after you get approved for the Rewards VISA card. Your APR rate will range from 14.49% to 22.49% depending on your creditworthiness. This is a pretty standard interest rate range for an unsecured cashback credit card. However, there are two weak points: a 3% foreign transaction fee and 5% balance transfer fee (or $5 if higher). You can get a 0% APR rate for 6 to 12 months and then you’re set to the standard 23.15% APR rate. You have 23 days to pay off any purchase before interest gets added. 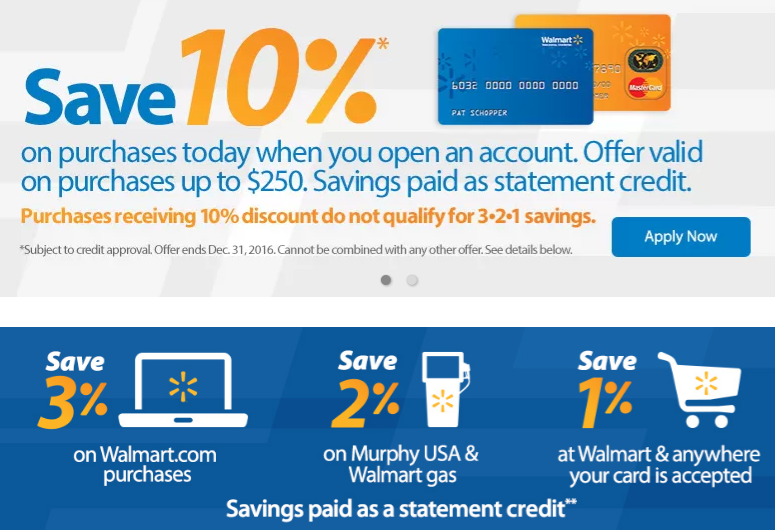 This card is equivalent to the Amazon.com Store Card on an incentive basis; you’ll get 3% back at WalMart.com, 2% on WalMart and Murphy USA gas stations, and 1% back on everything else. As an introductory offer, you’ll also receive 10% back on your first $250 spent. You also have access to special financing offers like you do with the Amazon.com Store Card. You can spend more than $150 but less than $299 and get a 6-month no interest period, or spend $299 or higher to receive a 12-month no interest period. If you don’t pay back the full promotional balance in the given time frame the accrued interest will be applied all at once. As a bonus, you’ll be able to access your FICO score every month if you get your bill online instead of by mail. With the Target REDcard, you will be able to receive 5% back on everything you spend at a Target location or on the Target.com Web store. You’ll also get free shipping on all online orders regardless of how much you spend and you’ll get an additional 30 days to return your purchased goods. Your 5% back is given to you as you spend instead of on your next purchase! Another good thing is that this card has no annual fee. However, the card has a 22.9% APR rate which is very high for an unsecured credit card. This makes it very important to stop yourself from carrying much of a balance. Therefore you shouldn’t bother using the card for anything except for small purchases and everyday items. If you do have a big purchase to make at Target then try to pay it off as quickly as possible so you still come out ahead. One unfortunate thing is that you do not get to access any deferred financing plans through this card. So you won’t be able to pay off a big purchase over the course of 6, 12, 18 or 24 months without having to pay any interest. 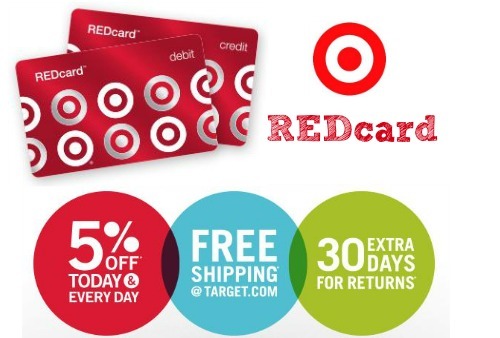 Overall, the Target REDcard is a must-get for anyone who shops at Target on at least a semi-regular basis. For all consumers in general, getting this card and shopping at Target or on Target.com more regularly might even be a sensible thing to do! There are many dozens of Comenity Bank cards available. This includes store cards for companies like Abercombie & Fitch, Big Lots, Crate & Barrel, Eddie Bauer GameStop, HSN, J. Crew, Lenovo, Motorola, Pottery Barn, Reeds Jewelers, Overstock, Wayfair, and many more. You can get most of these cards even if you have a credit score in the 600 to 640 range. You can also apply even with credit report blemishes and stand a good chance of approval. If you’re looking to avoid growing your credit with a secured card, or you’ve already done that, then a Comenity Bank store credit card is a great investment. Many applicants use the ‘Shopping Cart Trick’ when signing up for Comenity Bank cards. If you aren’t already aware of what this is, we suggest you research it before applying for any of these cards! 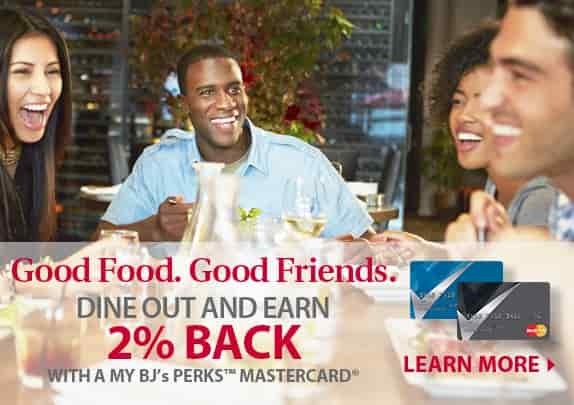 Hands down, the single most useful credit card offered by Comenity is the My BJ’s Perks MasterCard. It has many different saving opportunities, including discounts on gas, groceries, and so much more! 10 cents off every gallon of gas at a BJ’s gas station! This card comes with a 15.24% to 25.24% APR rate depending on your creditworthiness. If you are not already a BJ’s club member you will need to join to use this card. This costs $50 for their basic membership but sometimes there are discounts on joining too. But don’t worry too much if you’re not already a member; you’ll get $25 on your first purchase which makes up for most of the initial cost. There’s a $50 annual fee, but you can save $10 if you set up auto-renewal. This is a high-value rewards card that actually pays out as much as 10% on each purchase. 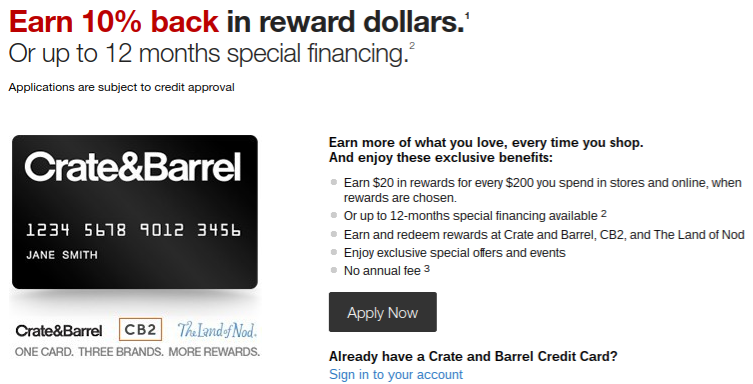 As long as you spend $200 you’ll get a $20 credit for the next time you shop at Crate & Barrel. The rewards can also be used at CB2 (a home furnishings store) and the Land of the Nod (a children’s furniture store). As a cardholder, you’ll be invited to special events where you can save even more. Watch out for special offers from all three stores where the card can be used. Also, you have the option to take on a deferred financing plan which puts off paying interest for up to 12 months. If you pay the full promotional balance in this time frame you’ll not be charged any interest. However, if you fail to pay it all off the whole 12 months of accumulated interest will be applied to the amount you owe. This card comes with a 27.24% APR rate and it has no annual fee. 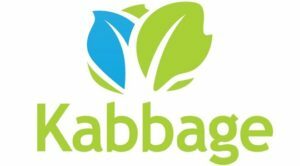 OverStock is a competitor to Amazon and they have a lot of unique (and affordable) products on their website. It’s also super easy to get approved for this card specifically and many have reported getting it even with really bad credit. 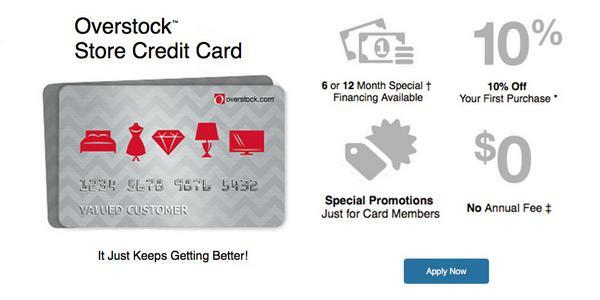 As an OverStock cardholder you’ll also be able to take advantage of their deferred financing plans. This lets you have a no-interest period of either 6 months ($249 and up), 12 months ($499 and up), 18 months ($1,499 and up), or 24 months ($1,999 and up). However, you can only apply discounts on deferred plans not exceeding 12 months. Once the repayment period is up you’ll have the interest for all the months added to your bill if you don’t pay the full balance off beforehand. The GameStop PowerUp Rewards Card is an excellent store credit card for any avid video gamer. GameStop is already the preferred to for video game purchases so having a store reward card makes things much better overall. With the GameStop rewards card, you can purchase video games and/or consoles and pay back what you spent over a prolonged period of time. You’ll also gain access to special cardholder offers. If you’re a GameStop Pro member, as soon as you use your store card you’ll get 15,000 reward points. You will get 5,000 points if you’re just a basic member. The Pro membership runs $14.99 a year. In retrospect, you can upgrade to Pro for 15,000 points which means every 1,000 points are worth about $1 and every point is worth roughly a penny. So the sign-up bonus is worth $5 to basic members or $15 to upgraded members. You can redeem your points through the Rewards store. From here, you can purchase various gaming accessories, Xbox Live and PSN store credits, video game collectibles, and more. This card comes with a 26.99% APR rate and it has no annual fee. The Synchrony Bank store cards work just like Comenity Bank cards. They’re also available for people with less-than-perfect credit and you’ll typically have a credit limit of around $150 to $500 at first. Some examples of retailers that offer Synchrony store cards include: Amazon.com, GAP, Lowe’s, Old Navy, Toys R Us, and WalMart, among many others. While their list is shorter than the list of Comenity Bank store cards, there are more big-box department cards available through Synchrony Bank. Note: We’ve already covered the Amazon.com and WalMart.com cards from Synchrony Bank earlier in this post. 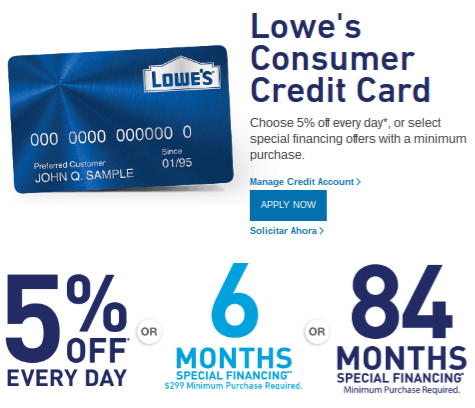 If you regularly shop at Lowe’s, their credit card is a terrific investment. It gives you 5% back on all in-store purchases, minus a few particular brands of appliances that aren’t eligible. You also have the option to set up a 6-month no interest period on any purchase of at least $299 at Lowe’s. If you choose this plan you won’t get your 5% reward anymore. However, no interest will be applied as long as you pay it off in the first six months; if you fail to pay the full amount though, all the accrued interest will be tackled on at once. If you chase the 5% reward then make sure to be mindful of the repayment grace period. If not, interest will be added to the balance and over time the 24.99% APR rate this card has will make the 5% reward negligible. Another important thing to know is that the Lowe’s card cannot be used in conjunction with price-matching or coupon offers. This lowers the value of this card a bit, but the 5% offer is pretty valuable on its own. Note: Synchrony Bank also powers the Lowe’s Project Card, which gives as low as a 7.99% APR rate to those with excellent creditworthiness. This particular card is designed to be used for financing home renovation projects, and as a result you need to spend at least $1,000 on your purchase to use the Project Card. Overall, it’s way better than the Consumer Card but it won’t be useful for any smaller purchases. If you have any kids, chances are you spend more than you would like at Toys R Us. Their credit card can give you as much as 10% in rewards, which makes for a sizable discount on all the pricey toy purchases you face. Even if it’s just used for birthday and Christmas gifts this card can come in handy, but since they sell diapers, formula and other baby items too it could be a good card for frequent use too. As a cardholder, you will enjoy two points for every dollar spent at Toys R Us and Babies R Us locations and on their website. You will also get one point for every four dollars spent anywhere else. It takes 125 points to get $5 worth of rewards, which means each point is worth four cents. This means you earn $8 in rewards on every $100 you spend, which is effectively an 8% reward rate. Another big plus: On Thursdays, all cardholders are eligible for a 10% discount on whatever they purchase at a physical Toys R Us or Babies R Us location. You also get a special offer sent to you every year on your birthday. Further, you can set up a deferred payment plan with no interest for either a 6 or 12 month period. You need to spend at least $299 for the 6 month no interest plan, or at least $759 if you go for 12 months instead. With the Toys R Us card, you have a 26.99% APR rate and no annual fee. There are many clothing store reward credit cards that exist. Most are offered through Comenity or Synchrony, which are two banks known for issuing easy-approval store cards. But it’s all about where you shop; we’ll cover some of the more popular (and rewarding) clothing store cards below. Note: Keep in mind that these cards often offer small credit limits. You might find yourself getting approved for as little as $150 and you won’t be able to up the limit drastically. So it’s not the ideal option for someone looking to ‘build credit’ but it’s definitely a good alternative if you want to avoid a secured card. 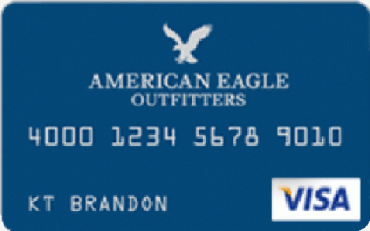 It comes with tons of rewards that create tremendous savings for anyone who shops at American Eagle at least a few times a year. On your first purchase at American Eagle, you’ll receive 15% off whatever you spend. Every time you spend at least $25 you’ll receive a reward point, and you’ll get $10 off for each 10 points you earn. Further, once your birthday rolls around you’ll get a 20% off coupon to use. Also, make sure to watch out for their cardholder savings events that take place multiple times throughout the year. These events allow you to maximize the amount you save through your AEO credit card. If you do have good credit, you can get all the rewards listed above (and a reward point for every $100 spent elsewhere) through the AEO Visa credit card instead. This credit card is offered by Synchrony Bank and it comes with a 24.24% APR rate. Men’s Wearhouse shoppers definitely want to go out of their way to get this card. It pays out a $50 certificate to use in-store once you earn 500 points. You earn 1 point for every $1 you spend, which means after every $500 in purchases you get a $50 certificate. That’s effectively a 10% rebate on each purchase! Further, any time you rent a Tuxedo you’ll get a $30 discount. You can also order any dollar amount of products from their website and get the shipping free of charge. And when your birthday comes there will be a special offer or gift sent to your email. As a cardholder, you’ll also get specialty offers sent to you periodically. You can download the Perfect Fit app and keep track of the rewards you’ve earned and see the latest opportunities to save even more. This credit card is offered by Synchrony Bank and it comes with a 25.99% APR rate. If you’re a regular shopper at the Banana Republic, this card will make things a lot more affordable for you. To start things off, you’ll get 15% off the first time you use the card at a Banana Republic store. A $5 bonus will be added every time you earn 500 points; you get 5 points for each $1 you spend at one of their locations. If you spend with the card in a different store, you’ll be credited with 1 point for every $1 you spend instead. This equates to roughly 5% in cashback-style rewards on purchases at the Banana Republic. At times there are special offers for cardholders only that further your savings. And when your birthday comes around, you’ll get a special gift or savings offer from them as well. This is an excellent retail clothing card for anyone who shops at Old Navy, but you’re not just limited to there. You’ll be able to use the card at any GAP-owned store, which includes all Athleta, Banana Republic, GAP and Old Navy locations. You’ll be able to get 5 points for every $1 you spend at each of those listed clothing retailers. Previously, Piperlime was an included retailer but GAP dropped them in 2015. Just like with the Banana Republic clothing card, you can earn reward points elsewhere with the Old Navy VISA card. This is different from their store-based credit card; to qualify you need to have strong creditworthiness. If this is the case, it’s a worthwhile alternative to their other card. This credit card is offered by Synchrony Bank and it comes with a 24.99% APR rate. Which are the easiest retail cards to get with bad credit? For bad credit consumers, it’s best to go after a Comenity Bank or Synchrony Bank store credit card. These are easy to get approved for and most offer 1% to 5% in reward incentives. But you have to be careful with which of these cards you use and how you use them. For example, you can easily get a Lowe’s Consumer Credit Card and enjoy 5% back on Lowe’s purchases but in the fine print you’ll notice you can’t price-match or use coupons when paying with the card. What are the best online store credit cards? We strongly recommend the Amazon.com Rewards VISA card for anyone who can qualify. It provides major cashback incentives for all types of consumers. Whether you shop on Amazon.com regularly or not, you’ll be able to make a profit off using the card if you keep your balance paid on time each month. 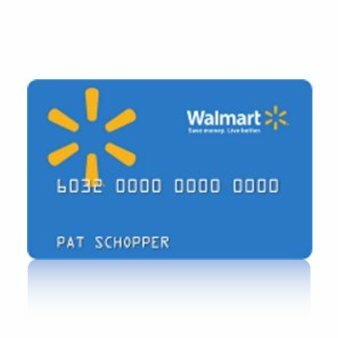 Alternatively, you might want to consider the WalMart store card which can be used on WalMart while still earning rewards. Which store credit cards can get approved easy? Any store that has a credit card issued by Comenity Bank or Synchrony Bank will be relatively easy to get approved for. These two banks have been known to accept applicants with weak credit ratings. There are many reports online of consumers with FICO scores in the low 600’s, and some even in the 500’s, that managed to get approved for various store-based credit cards. Do Comenity and Synchrony credit cards help your credit? Yes, you can improve your credit and increase your FICO score through the use of store cards issued by Comenity and/or Synchrony Bank. But these cards are best for those who have less-than-perfect credit. If you can qualify for most unsecured credit cards, you’re better off with a cashback rewards card. The Best Bad Credit Cards with No Deposit – You Can Avoid Secured Cards!